Arguably the fastest growing young Hip-Hop artist in the biz right now, Tayyib Ali is at it again. The kid dropped the Video for the track "Do It" a week ago from today. The track is from his mix tape Keystone State Of Mind that dropped a few weeks ago. With a sick flow and music that's that fresh type of Hip-Hop seemingly geared towards the optimistic, Tayyib Ali isn't something to listen to if you want to be angry because all it's gonna do is put a smile on your face. He's like the Matt & Kim of Hip-Hop. He's the freshest young face in the Hip-Hop scene right now. 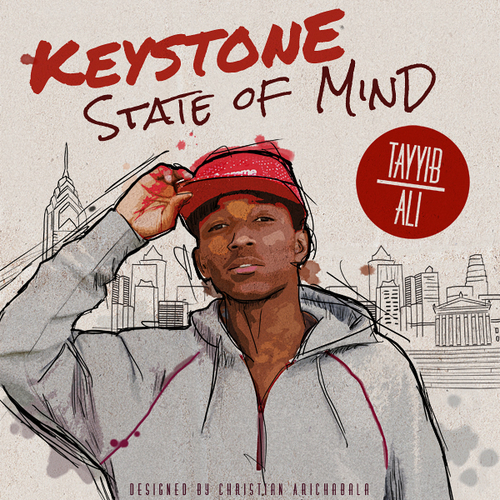 He's Tayyib Ali, and if you aren't familiar with him then get that way- the kid is blowing up. WATCH: Tayyib Ali "Do It"
anybody know what shirt he is wearing in the beginning? ?